When you read ‘Design Language systems’ you might brush it off as something the design team should be thinking about, but that’s not the case and I’ll tell you why. First let’s define it. It is a set of rules or guidelines that heightens the level of harmony in a digital ecosystem. Get every one ready and on the same page. Collaborate at healthy intervals to curate a wholesome design language system. Keep in mind the collective desire to provide good user experience while adding to internal efficiency. The Design Language System is like setting a foundation for you to build on. It’ll make the build time shorter and much more efficient. Let’s start laying the foundation. Standardize the tools different teams use in different phases of the project. Right from the discovery of the project through the design, development and validation phases. Make sure everyone is aware of the tools other teams use. Tools used for collaboration should be easily accessible and agreed upon by everyone in every team. Create a folder system to organize work. Standardize the naming convention. This will make it easier to find a particular file. Find a formula that works best for all the teams, perfect a naming convention and STICK TO IT. Document all these standardizations. Create a one stop shop for every information related to the system followed. This is essentially making an inventory of all the components that make up the digital product. 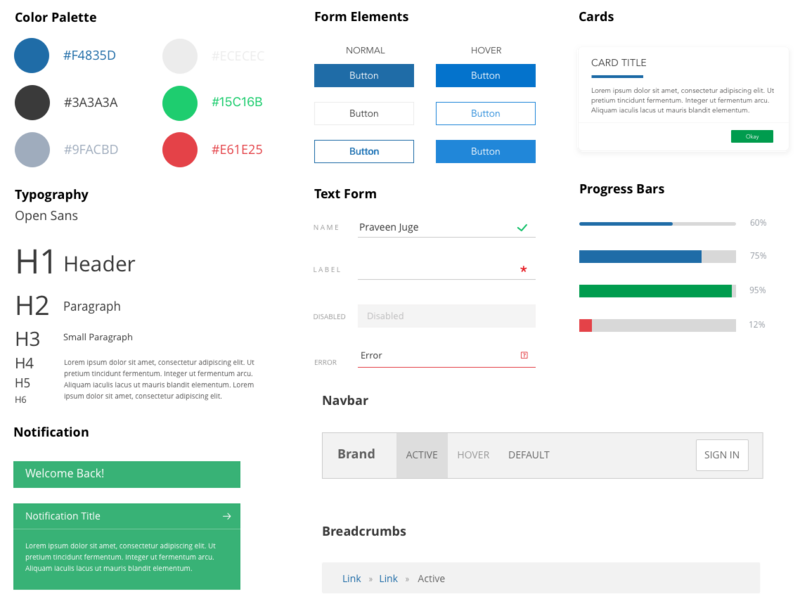 All you have to do is take screenshots of all the elements and components that make up your product and categorize them. The components range from right, from the text to buttons and accordion to tabs. 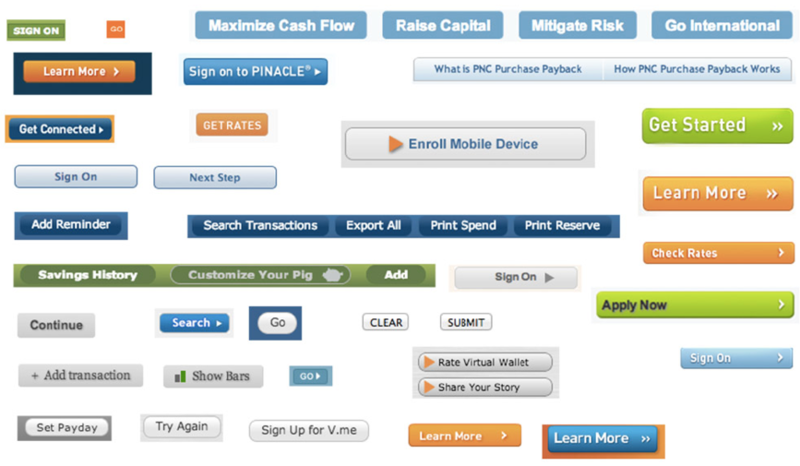 This level of inconsistency in button styles can be avoided when an UI Audit is conducted. Documentation: So that there are no surprises while scaling/redesign/rebrand etc. Retrofitting: To analyze the feasibility of responsive retrofitting. Convinces your boss about a common interface language : This is important in larger organizations where multiple people work on the same project. Groundwork for a Design Language System: It breaks down the product to its atomic level thereby helping to set up a style guide or a pattern library. Create a tool box of all the tools that are used to design along with plugins used. So, when there is a new member to your team all they need is the toolbox and they are set to maintain consistency. Similar to naming folders, find a naming convention that works well for the team. Follow the convention to name layers, component and symbols. Set the grid system that works best for the product. It’ll help reduce the design decision time. Have one generic grid system and give yourself the liberty to modify based on requirement of every new product. Fix on the typography and text style for faster visual design. This is essentially like breaking down a product into re-useable building blocks which can be categorized and grouped. This library will have details of every building block’s interdependencies and the set of rules which will a affect the way each block looks. The patterns will include everything from the text to buttons and accordion to tabs. For all the developers out there, your contribution to the pattern library is highly recommended as it has a monumental effect on the code base. And like everything else in design, perfecting the design language system will and should be an iterative process. From this understanding its given that a design language system benefits more than just the design team. It greatly benefits the brand, the business and the end users. Keep an eye on this space for more from the #DLS series.